"We're all just overhearing each other's stump speeches and freaking each other out!" the "Daily Show" host said of the nations' leaders' bluster. 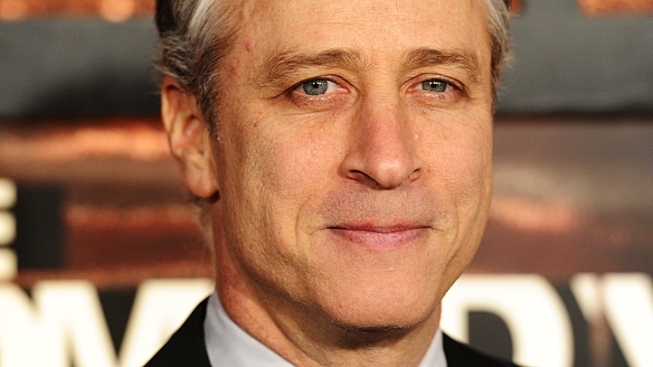 Jon Stewart thinks the way to Bibi's heart is with the music of "Yentl." As Iran-Israel tensions escalate amid election season bluster, Jon Stewart stepped in Tuesday to try to mediate — with the help of some frenzied cultural pandering and impressive double-talk. In his attempt to calm the furor, the "Daily Show" host ably swiveled between three cameras — the Iran-cam, festooned with a marquee reading "Death to America since 1979," the Israel-Cam, which wore a yarmulke and a Star of David, and the Ameri-Cam, which resembled a battered pick-up truck sporting some unsavory bumper ornaments. But that task proved tough as he realized the tone of all the rhetoric could be so bitter because the U.S., Iran and possibly even Israel are in the midst of election season. At an American Israel Public Affairs Committee conference, President Obama and the Republican rivals for the chance to challenge him in November had all tried to one-up each other on support for Israel against Iran — and American pols weren't alone. "We're all just overhearing each other's stump speeches and freaking each other out!" he cried. With that, Stewart tried to ingratiate himself to each culture with song — and what better way to sate Benjamin Netanyahu than with the music of Yentl?